The number of EHR solutions suitable for hospitals and other enterprise-level physician groups and networks is significantly smaller than what’s available for smaller practices, yet choosing a program is no less difficult..
Physicians value software that is intuitive, collaborative, comprehensive, and that can integrate with disparate systems. They want a choice of input methods including voice, touch, stylus, or traditional keyboard/mouse. 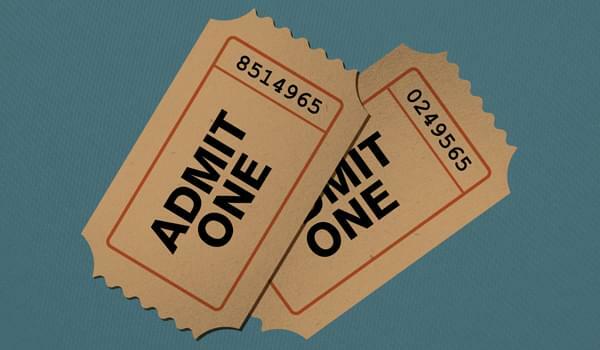 Physicians attesting for Meaningful Use Stage 2 are worried, but especially so concerning requirements surrounding patient engagement, satisfaction, and portal usage. Nurses and physicians want more time with patients, and less time with electronic documentation. 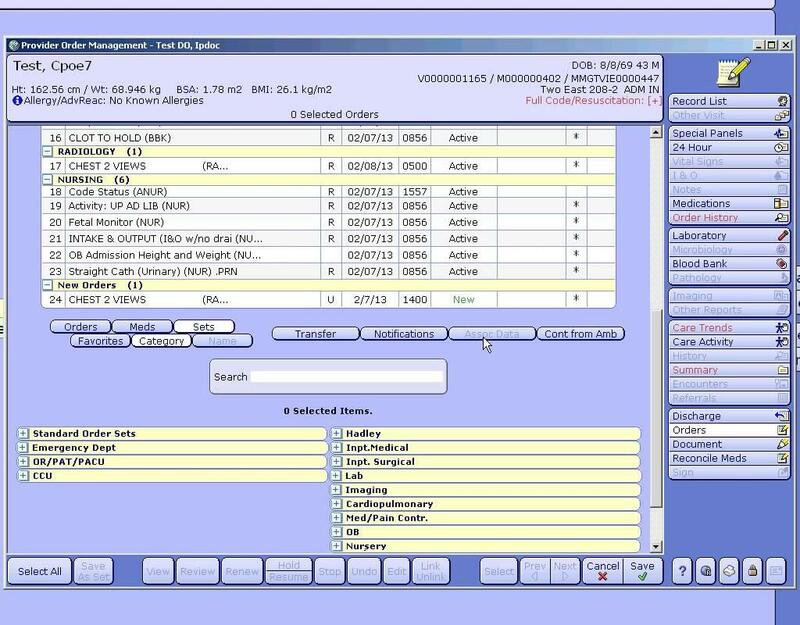 Single-screen, dashboard-like access to the most-used functions, and customizable, understandable templates are crucial for inputting orders at the point of care. Administrators and payers are worried about upcoding, and want systems in place that increase intelligence and provide oversight and ultimately prevention. 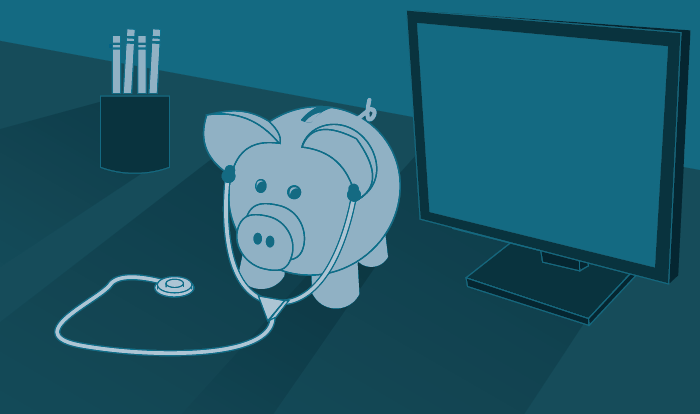 Cost is a big concern to everyone, not just smaller organizations. Widespread concern about the costs of one enterprise healthcare IT system in particular inspired a recent TechnologyAdvice piece on 4 EHRs cheaper than — you guessed it — Epic. Everyone is scared of data breaches and the HIPAA violations, loss of public trust, and the other fallout that comes with them. If the selection of hospital EHRs is small to begin with, there’s an even smaller amount of systems with innovative features and user-friendly interfaces. If you remove the sometimes popular, but almost always prohibitively expensive solutions from vendors such as Epic, McKesson, and Cerner from consideration, the number of products truly suitable for larger organizations is but a tiny fraction of what’s available to other practices. 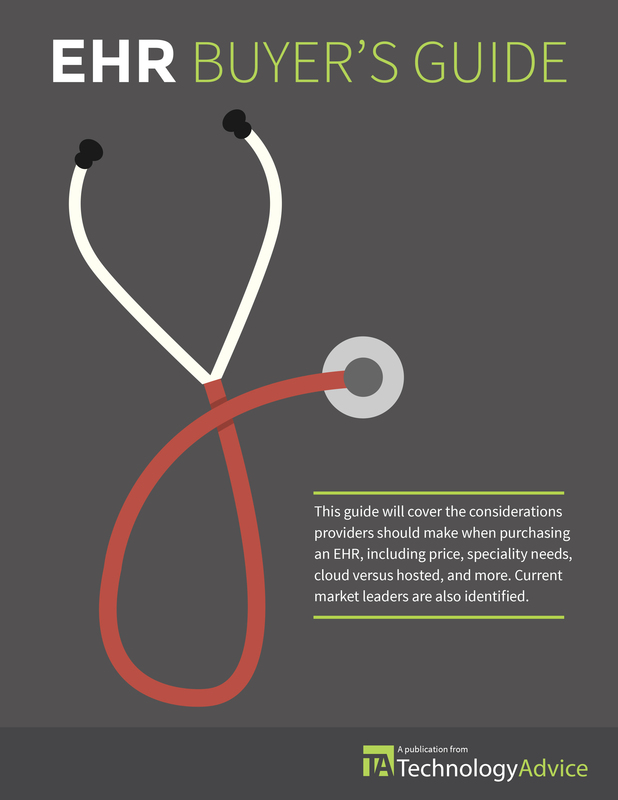 Of the healthcare IT solutions available to hospitals and large physician groups, the three below satisfy the needs of healthcare stakeholders better than most, based on our research. Allscripts, headquartered in Chicago, Illinois, has been providing solutions to the healthcare industry since 1986. 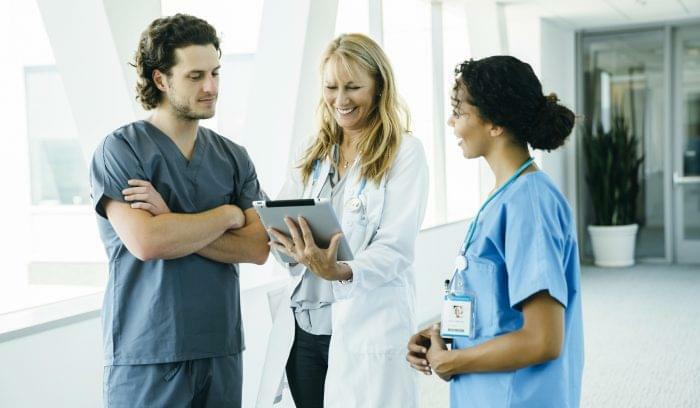 The comprehensive suite of products they offer is used by or connected with over 180,000 physicians, 1,500 hospitals, and 10,000 extended care organizations. Unlike many of their competitors, Allscripts’ solutions offer excellent connectivity — it’s one of the platform’s main advantages. Allscripts offers twelve main products, but only three true EHRs: Professional EHR for small-to-medium practices, TouchWorks for ambulatory centers, and the Sunrise hospital EHR system. They use an open platform, called Unity, to connect their systems to one another and a growing list of third-party apps available in the Allscripts Application Store. Physicians can choose to enter notes with a traditional keyboard/mouse combination, or use voice recognition software. 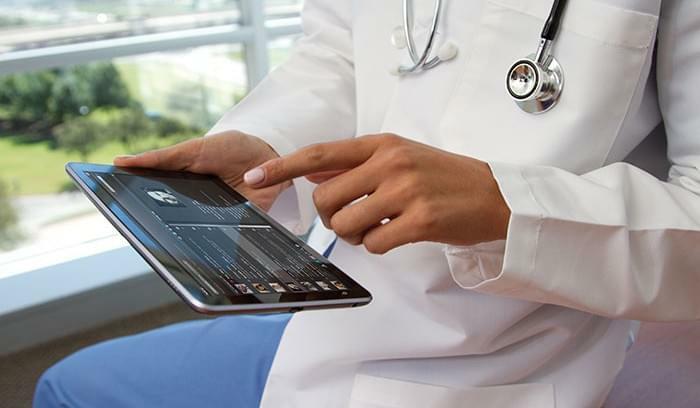 Allscripts also offers Wand, a native iPad app that allows EHR users mobile access to the most commonly used functions of their cloud-delivered platforms. Another benefit to the Allscripts system is its user-friendly patient portal, which we mentioned in our piece on the best integrated patient portal solutions. 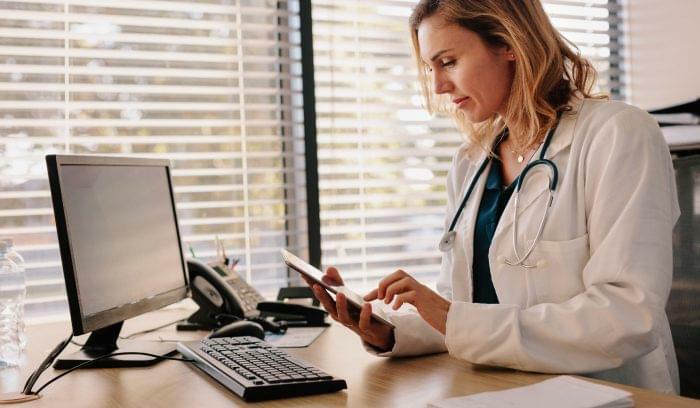 Between the connectivity, functionality, and ease-of-use of the Allscripts platforms, it’s no surprise they are frequently ranked at or near the top of physician satisfaction polls. Also worthy of note, one of Allscripts’ client hospitals was one of the first to successfully attest for Meaningful Use Stage 2. MEDITECH’s cloud-delivered medical records system is one of the more polarizing systems on the market today. According to research from KLAS, Black Book, and several other independent review agencies, MEDITECH is one of the top-rated systems for user satisfaction. Those same agencies have also rated MEDITECH as one of the systems most often complained about by users — nurses in particular. Of course, other nurses seem to love it, based on these comments from AllNurses. Nurses who had used MEDITECH, interviewed by TechnologyAdvice, confirmed these mixed feelings. Earlier versions of MEDITECH (the current version is 6.0) have drawn comparisons to MS-DOS. Considering the company has been in business for 45 years, it is fair to assume that it was built on DOS initially, and maintaining some similarities across versions is usually appreciated by users. 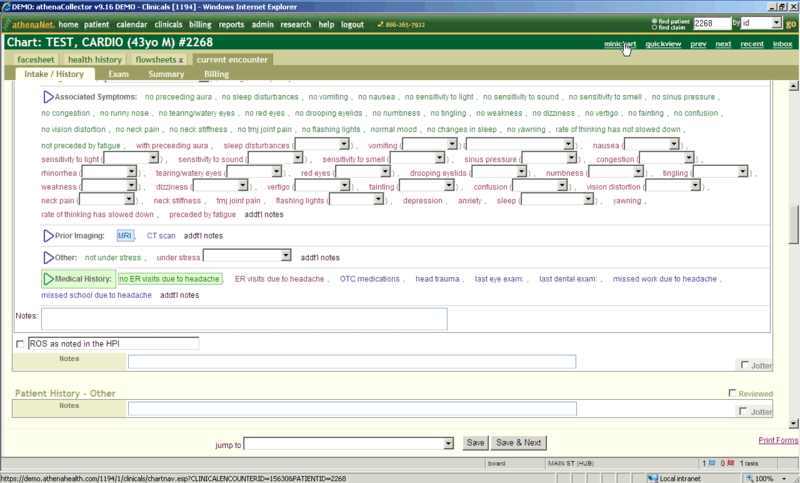 Nurses said older versions of MEDITECH were difficult to learn, but, as commands and codes were memorized, users could input all the information required to complete a note in a matter of seconds. 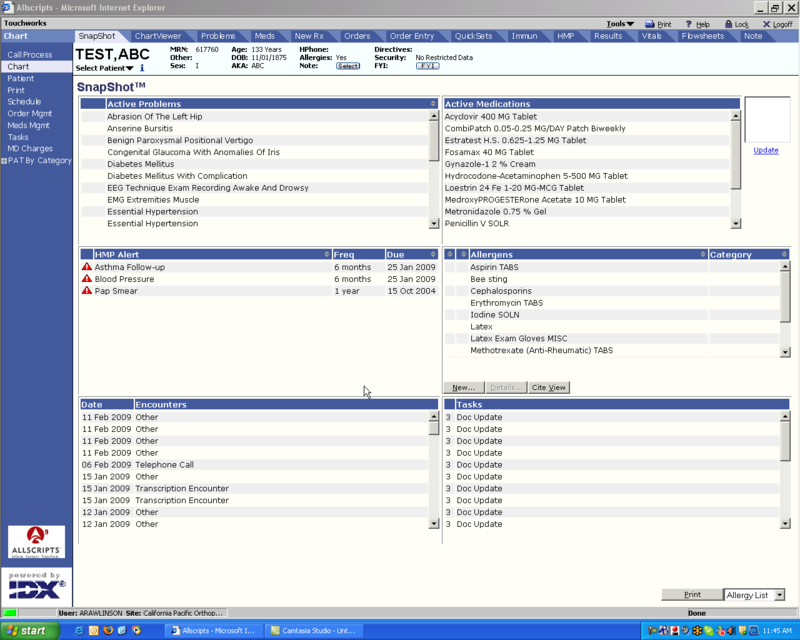 When 6.0 was released, the switch to a more Windows-like interface was managed poorly at many facilities. MEDITECH is highly customizable — as a hospital-level electronic records management system, it needs to be. When it is implemented well, and common pitfalls are avoided, MEDITECH can be a powerful and even user-friendly solution. When it is implemented poorly — you’ve likely heard. MEDITECH also continues to improve and update their product; they’ve even recently released a touch-based tablet interface for easier interactions with both patient and EHR at the point of care. athenaHealth, headed by healthcare innovator Jonathan Bush, is the anomaly of this group — they don’t have a traditional inpatient electronic records solution. Instead, the athenaClinicals system can be used by individual physicians or groups, and athenaHealth offers several systems to support robust care coordination, including athenaCoordinator Enterprise. athenaCoordinator and the rest of the athenaHealth platform can be deployed in a hospital setting to manage the full care continuum. Despite the lack of a true inpatient-specific offering, the athenaHealth system was recently ranked #1 in user satisfaction, and anticipates a future growth rate of 30 percent per year. A true, enterprise-specific solution seems inevitable, based on current market forces and statements from Bush and others in the athenaHealth leadership team. As the Meaningful Use Incentive plan begins to wind down and the government money stops flowing, the number of software choices available to hospitals and large physician groups will decrease. However, as the market contracts, surviving vendors should have superior systems — at least in theory. Regardless of how the market changes, TechnologyAdvice will be there to continue educating, advising, and connecting our users with the technology solutions that best fit their needs.